Within Teamwork Projects, risks are possible events that can have an impact on the success of your project. 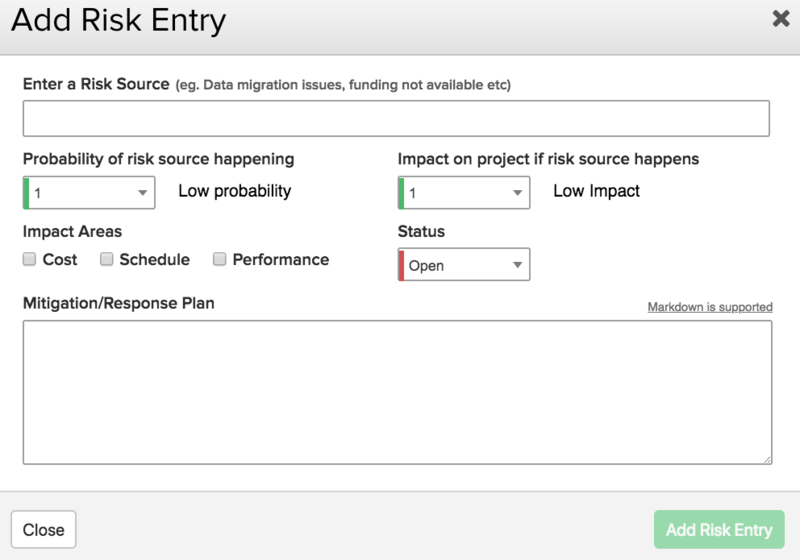 You can record and track risks in each of your projects, and note a mitigation/response plan so your team knows what to do when a risk develops into an issue. Once a risk has been added, you will see the risk result has been calculated based on.